The angular form of the Capo Arm Chair gives it an ultra sleek look that will complement any complementary office or home. The brushed stainless steel frame is the perfect contrast to the polyurethane seat and really brings out the modern design of the chair. It also provides a sturdy base that will allow this chair to last you for years to come. The polyurethane upholstery adds to the overall style of the chair, but also makes it comfortable and easy to maintain. 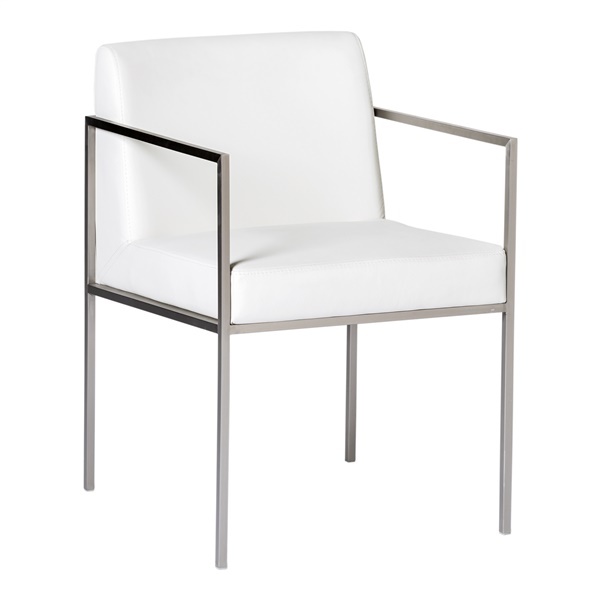 The flawless design and durable construction of the Capo Arm Chair make is an easy addition to your modern space.